I had the great pleasure to talk with the Andrew Ballard this week. Andrew is the chef and owner of Simmer Culinary, which is involved in a large range of events including staging pop up restaurants and haute cuisine private events. Possibly the most challenging part of Andrew’s role is running all kitchen operations for large events nationally around Australia such as The Good Food and Wine Show, Taste Festivals and The Cake Bake & Sweets Show. Tell me about yourself and being a chef? I started cooking at 16 years old, and have never considered another field to work in. I absolutely love what I do! Cookery offers me something new every day. I love that I am always learning, and have developed a real passion for creating tasty food that does more than just provide sustenance. In fact, professionally cooked food is a great conversation starter, whether it be ethical, artistic or technical. I think it’s amazing that modern industry provides chefs with the platform to start these discussions. Simmer Culinary is a really diverse company. I like to have my finger in many pies as diversity is the key to keeping life interesting. We run pop up events and restaurants around Australia and New Zealand. 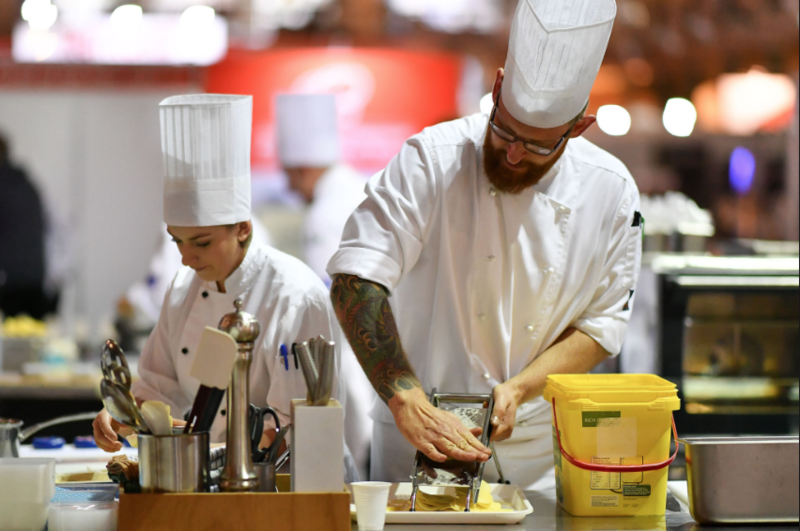 As well as running the kitchen operations Australia wide for large events such as Good food and Wine Show, Cake Bake and Sweets Show, and Regional Flavours among others. As a part of Simmer Culinary we developed the G.D.K (Gastronomique Development Kitchen). The purpose of this part of the business is to “give back” to the industry that has given me so much, and to provide assistance to help any other chefs’ train for cookery competitions at all levels. I also still like to compete as much as possible. What is the standout competition in your career? I have always enjoyed competing in culinary competitions and after 25 years I don’t see myself stopping any time soon. This year has been a big one for me personally. I travelled to Guong Zhoa, China to represent New Zealand in the Bocuse D’or Asia pacific finals, and competed at the Australian Culinary Challenge and was awarded “Most Outstanding Chef”. Now I am looking forward to travelling back to Shanghai to take part in the Asian Culinary Cup. I believe culinary competitions are a great way to push yourself creatively, mentally and physically as a chef. Competitions are to cookery what the catwalk is to fashion. They are the proving ground for new and interesting techniques whilst still recognising the traditions that have formed the bedrock of our industry. Why the Oliso SmartHub ™? 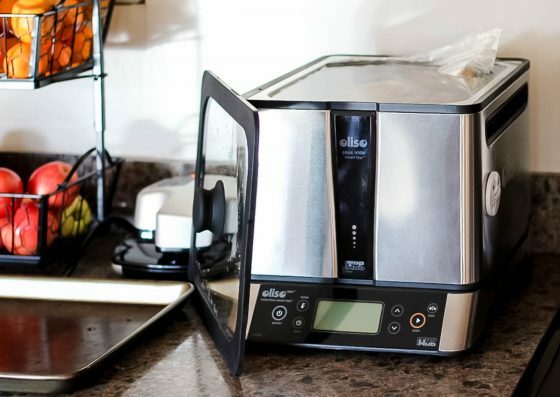 I love the Oliso as it is a compact unit that operates flawlessly. One of my favourite elements of the machine is that it comes to temperature very quickly and when the food product is added to the water it recovers to the optimum temperature really fast. I have other sous vide circulators that I love, but for competitions especially I prefer to work with the Oliso as it is more compact in design and therefore occupies a smaller footprint on the bench top. Would you use it at home? All the time! I probably use my Oliso at home more for long cooking items such as pork belly, etc., where I can leave the unit unattended for extended periods. I don’t have to be worried about evaporation due to the good seal the lid has with the actual water bath. Plus it also means I can whip the bath off the top when I have finished and use the induction cooker underneath to finish the item. So there’s less mess, less cleaning, and more eating. What do you cook in it? I really like Fatty king Salmon, cooked @43ºC. 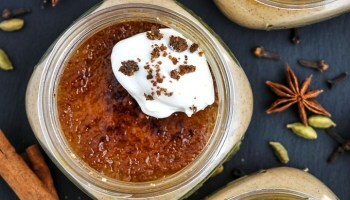 I’m also a big fan of making Mason jar cream brulee at home. Without the pump the jars don’t get jostled around as much as they do in circulator style machines.